When you have encouraging parents – you’re off to a fabulous start. Here Nollie is enjoying Sunday Funday with her dad. What could be more freeform than skateboarding? 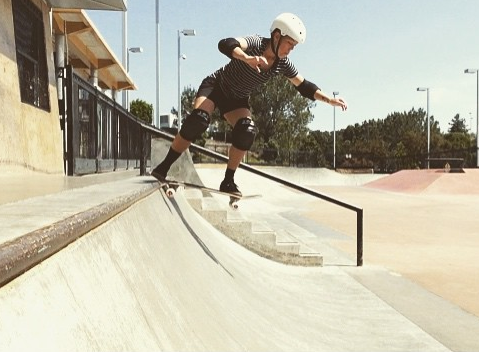 There’s endless ways and places to skate – I love the freedom to skate. I’m on a mission to get more girls skateboarding for fun – so it’s important to me to show girls at all levels. It’s not like the fun starts when you are able to skate vert – the fun starts when you’re on the board and smiling. In skateboarding you have to believe you can do it before you land it. Skateboarding also teaches you how to accept failure- you can know a trick have done it hundreds of times and still fall. Learning that sometimes you fall is important because that’s what gets you to learn how to get up. Fabulous job dad – you’re helping her learn while having fun – that’s stylish. Wishing everyone a rad weekend! I often say that skateboarding is both sport & art. So it makes total sense that skateboarders are athletes and artists. Many skateboarders are artists off the board too. So which came first the artistry or sport? Well in Melissa’s case the sport just a different kind of board. She started snowboarding at 15 and would have skateboarded in the summer but where she came from the community frowned on skateboarding. I’m happy communities today are changing their attitude about skateboarding. I believe it’s a much better use of energy to encourage others. At least for me – I’d rather spend my energy encouraging others than ignoring them, or judging them. When I encourage someone it makes them feel good and it makes me feel good. Did anyone ever feel guilty about giving a compliment or encouraging word? I don’t think so. And yes everybody has something they can be complemented on! 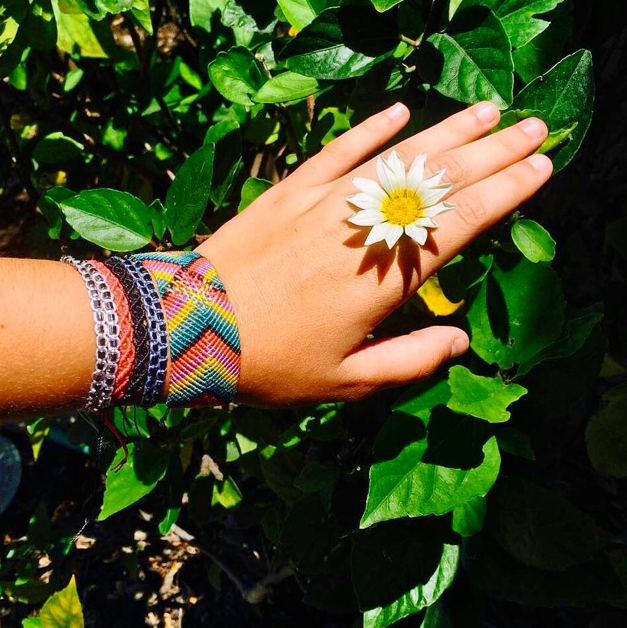 Melissa is the same way – she wants to promote happiness and she does it through her art. Her art is macrame jewelry. She was born with a love of jewelry and her mother encouraged her by taking her and her sisters to the local bead store to make jewelry. She also found that she loved giving away the pieces even more than making them. 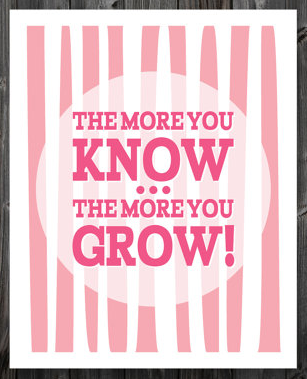 Sort of like encouraging someone does as much if not more for you. 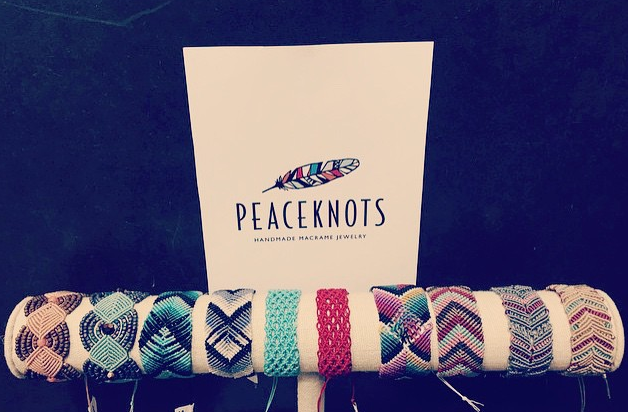 From beads she started making simple hemp bracelets and from there came macrame jewelry. If you’re wondering how long a piece takes, there’s a wide range from 30 minutes to over 8 hours. So which came first patience on the board or making jewelry? I think they feed off of each other – having patience in one area of your life teaches you patience for another area. Same with focus – if you can learn to focus on your skate tricks you can apply that focus to getting tasks done in your life. Melissa now lives in California where the weather is usually good for skateboarding and she’s found other skaters that encourage her – shout out to the squad at Carmel Valley Park. 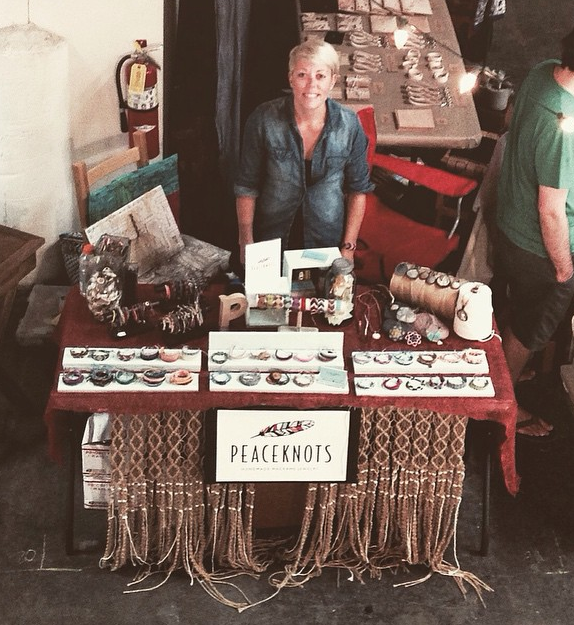 When she’s not skateboarding she’s making jewelry which you can find at local surf shops or on her etsy store. More girls skateboard when they see girls skateboarding for fun. And more communities like skateboarding when they see that skateboarding is sport & art. I loved this picture when I saw it and it gets better it’s a video – go check out Sandy Toes Photography to watch it. She’s not the only lucky 3 year old – turns out she’s at a lesson with Shreducate Academy. I love finding out about programs that encourage girls to skateboard for fun. Skateboarding is fun alone and it can totally clear your mind and be a killer core workout but there’s something about skating with friends that’s special. Anyone who lives by that list is a friend for life! And by live I mean on & off the board. Style is 24/7! Julia R or @_julssku says in a nutshell she’s about comics, music and longboarding. Sounds like a good combination and I like the collage of her random spinning. Did you know – Tre stands for Tampere and it’s a city in southern Finland.? It’s actually inland city with lots of people. I didn’t know until I read about Julia and than googled it. Whoever said skateboarding wasn’t educational was wrong. I don’t skate to win – I win because I skate. Skateboarding has opened so many doors and introduced me to so many people – that’s what I want to share with other girls. 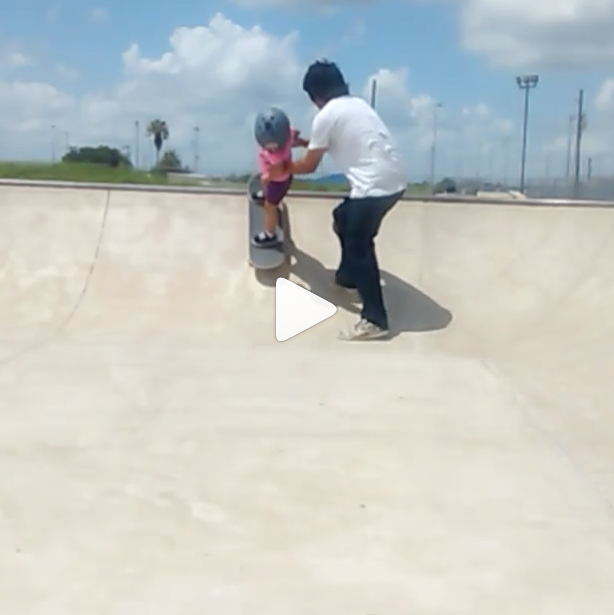 Skateboarding can increase what you know and how you learn new things. There’s nothing wrong with competitions but there’s lots wrong with defining yourself and your happiness by your score. I want to define myself and my worth. I don’t want my worth coming from a judge, teacher, boyfriend, or even parent. Hoping skateboarding is setting you free to keep learning new things rather than chaining you to a rank. 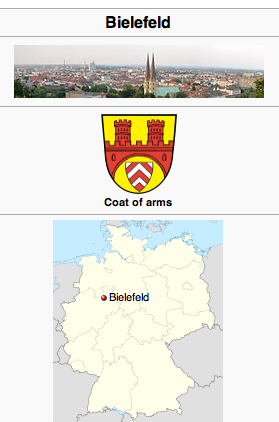 I’m thrilled to see the girls in Bielefeld have a tight team. I know they’ll continue encouraging each other and others. Who’s your tight team? More girls skate when they see girls skateboarding and we encourage each other – let’s keep it stylish on & off the board. 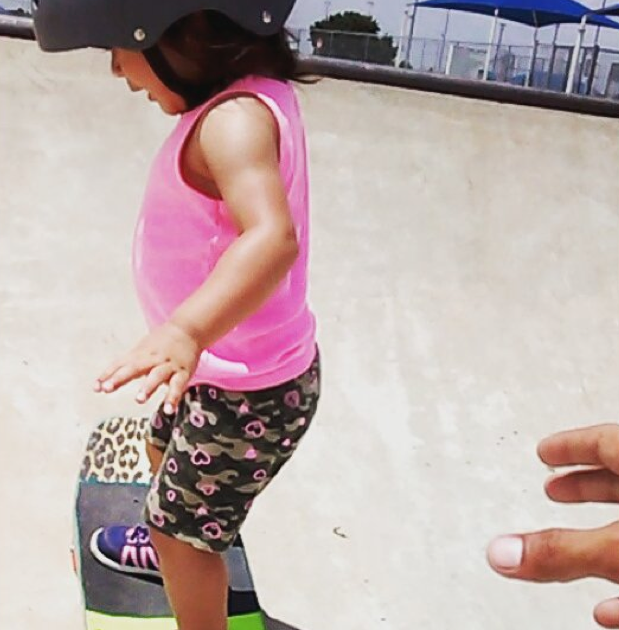 Check out skater_boo’s video to see all the fun she’s having. 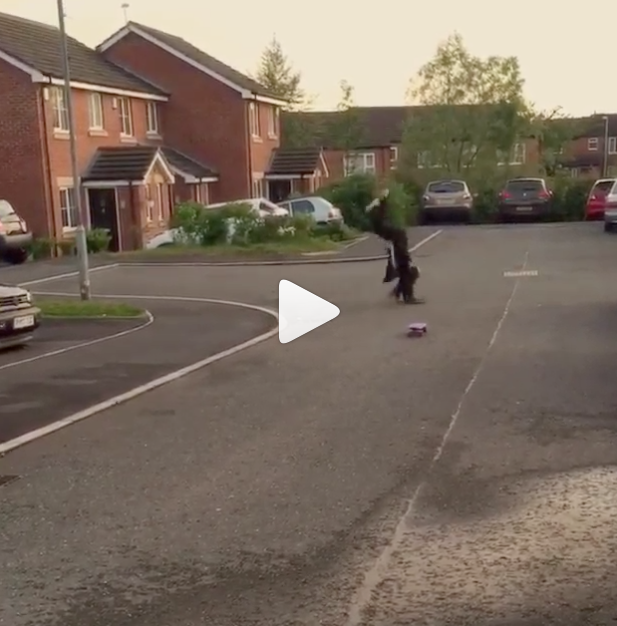 She’s a British girl who knows skateboarding is all about your own style & creativity. Don’t worry about skateboarding “right” or “better than” – just get out there and skate. Skateboard for yourself not for your parents or judges or anyone else – always skateboard because you want to! 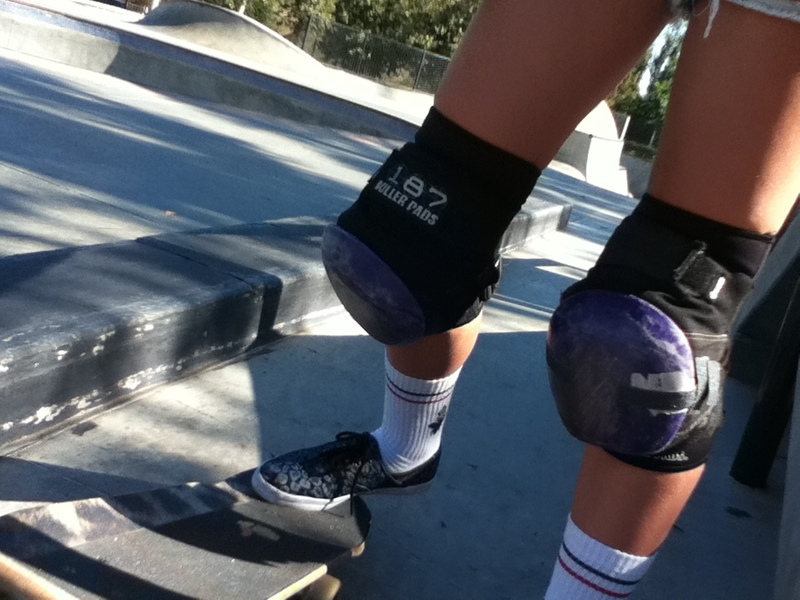 Looking forward to more and more pictures from girls skateboarding for fun & keeping it fashionable. Together we encourage and lift each other up – which is good for the girl & good for skateboarding & good for the world! She’s 4 and is starting in the parks now- here she is in NYC on the streets. Proud Mama;) She may be just starting but she’s already stopping traffic and Stella Bella Blue has an incredible cheerleader/mom – Heather at theloveandmadness. Here in Southern California there a lot of incredible skaters and there are incredible skaters everywhere else in the world – every one of those skaters had a starting point. I believe that if it’s your first day on the board or you’re a “master” you’re a skater if it’s in your heart. Some people will say you’re not a skater if you just have a cruiser or longboard or . . . they are wrong. If you skate and have fun doing it – you’re a skater. Surround yourself with people that build you up and believe in you. I’m grateful I had people who encouraged me to skate – not because they thought I had great potential but because they thought I’d have fun. I do have fun, I want to share that fun – don’t let anyone put a damper on your fun – skate like you want to – and always treat others with R E S P E C T! I’ve been on a mission to get more girls skateboarding for fun for awhile. I started this blog and its Instagram because I believe more girls skate when they see girls skate. Along the way I have found so many girls already out there skating around the world having fun and keeping it fashionable. And I hope a few girls have started because they saw &/or read a post. Since the beginning, I’ve said I had a love for fashion and all things stylish. I don’t think you need to give up your personal style to be a “real skater”. Millions maybe billions of boys play football – how many get a Super Bowl ring? Does that mean they aren’t all football players? 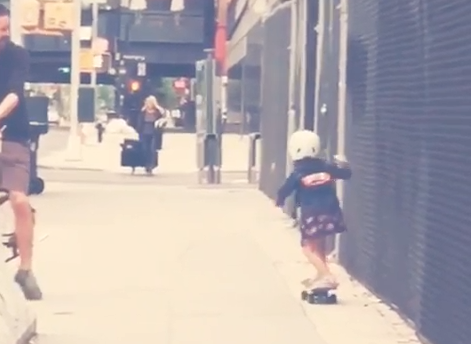 Since the beginning I’ve asked companies to help me show the world girls skateboarding for fun – because more girls do skate when they see girls skate – more people/companies showing girls skateboarding equals more girls skateboarding. Believe me I’ve picked up haters along the way – everything from “I’m single handedly ruining skateboarding” to “sell-out” and “you can’t skate”. But I’ve found more love. I’ve found that encouraging other girls has actually encouraged me to become clear on my passions. I love skateboarding, fashion, and it turns out helping others. 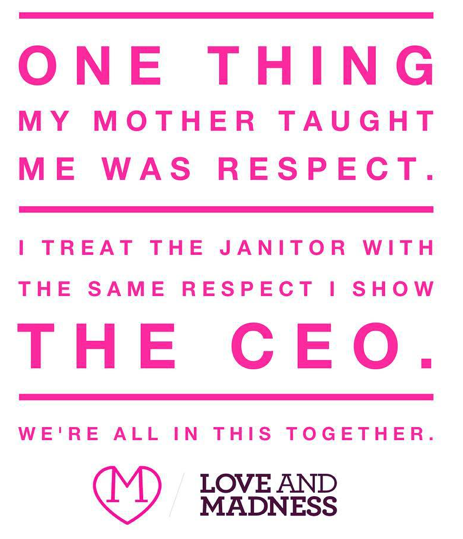 I’ve found that companies have programs that make it simple to give back. From Make a make up company that gives 1/3 of every purchase made on their site to support women-led, worker-owned cooperative business across the Americas, to Boxed Water who partners to help with world water relief, reforestation, and environmental protection, to Bombas Socks who helps you bee better by donating a pair of socks for every pair purchased, to shop3thirty who supports 3 causes ever 30 days by donating up to 30% of sale profits, to etnies Buy a Shoe Plant a Tree program to HTC Plug in. Be a part of the Future, to Macy’s Shop for a Cause, to Arbor Collective who has donated boards to skate4africa and has always been seriously committed to the environment, to Paul Mitchell who has a Culture of Giving – I am proud to support companies that give back and raise awareness. From the beginning I’ve said a skatingfashionista, namely myself, doesn’t do the hardest tricks but shares her tips on skating & fashion. 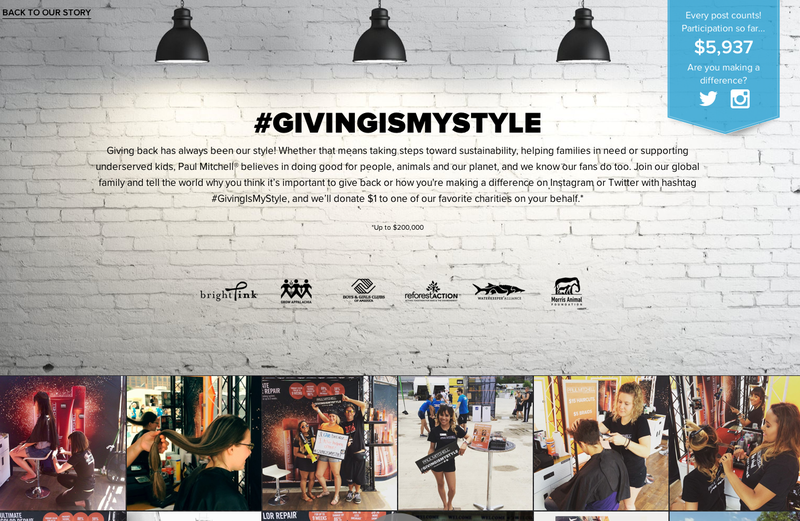 Thank you to everyone who’s supported this blog and its Instagram – keep sharing your pictures & stories as it turns out more girls skateboard when they see girls skateboarding and we all become stronger when we encourage others and act together to be the change we want to see #GIVINGISMYSTYLE and we’ve just begun to give. 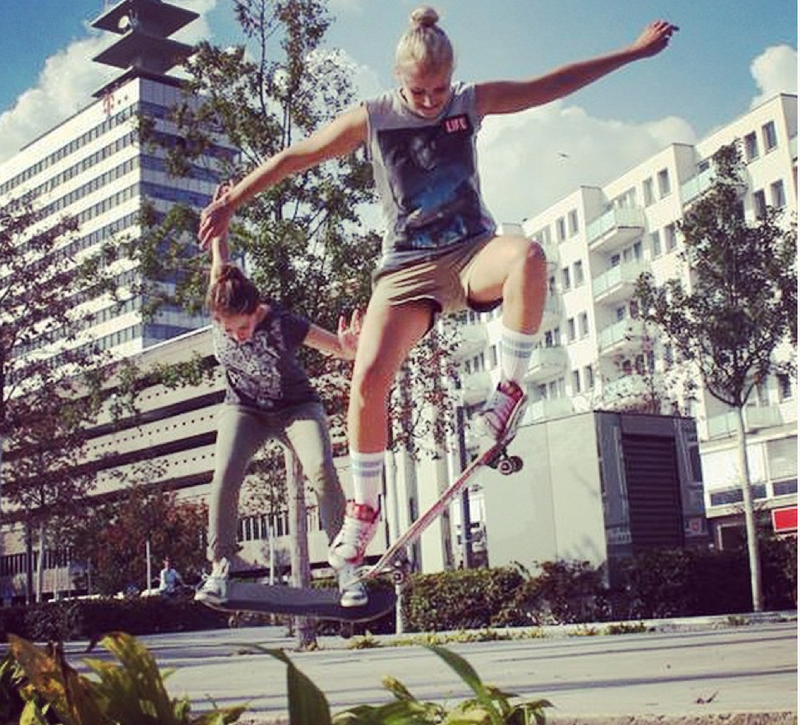 Essexskatergirls is a group of girl skateboarders in Essex (England) looking to meet up, learn, chat etc. All skill levels welcome. Get involved! I 100% agree with emiilymaee and love essexskatergirls mission. Skateboarding should be fun. I post pictures and like to see posts where girls encourage each other – yes I enjoy the rad shots but I also enjoy the beginner shots and everything in between. To me it’s encouraging to see the journey and to see girls enjoying the entire journey. 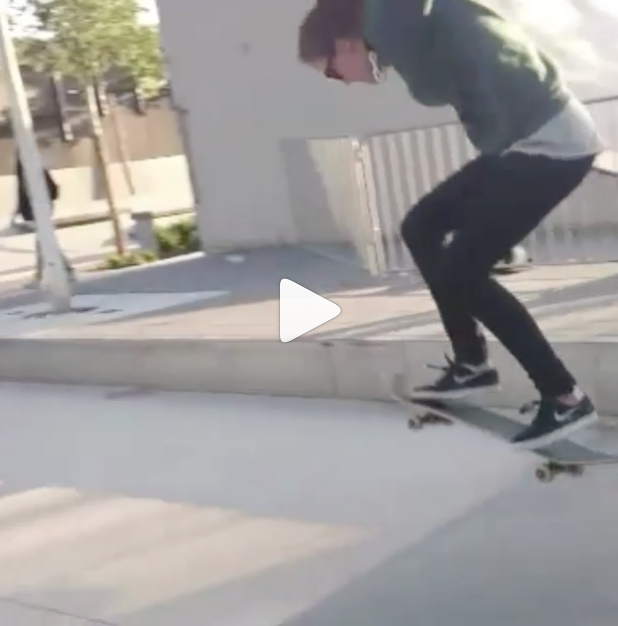 How can skateboarding be fun if you’re constantly worried about being better than? And how can skateboarding be fun when you’re putting down others? 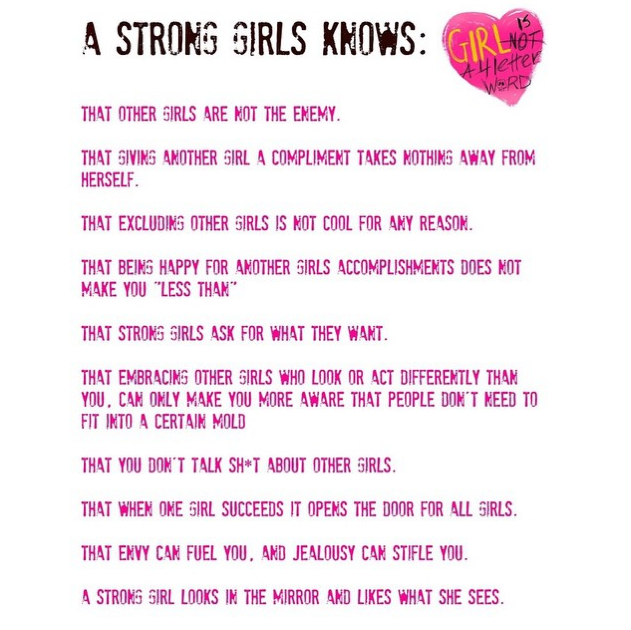 I encourage everyone to check out essexskatergirls – the pictures and the comments from other girls – that’s girl power – that’s girls lifting each other up. Words are powerful using them for good is stylish! On Thursday, July 16th I set out on my Sole Tech adventure. Following in the steps of Poseiden Foundation founder Micaela Ramirez – I ventured to the Sole Tech Compound in Lake Forest, CA. 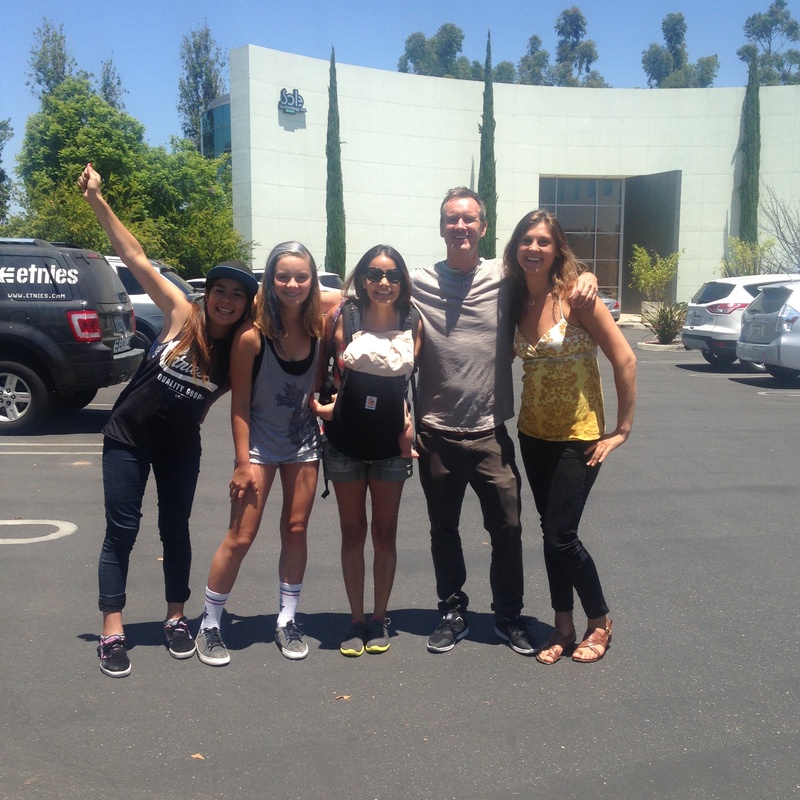 The tour group – Maria, me, Micaela, Don our guide, and Maya pictured outside Sole Tech World Headquarters. Photo credit my mom all other photos Maya Eve Porter/Poseiden Foundation. Micaela organized the tour. 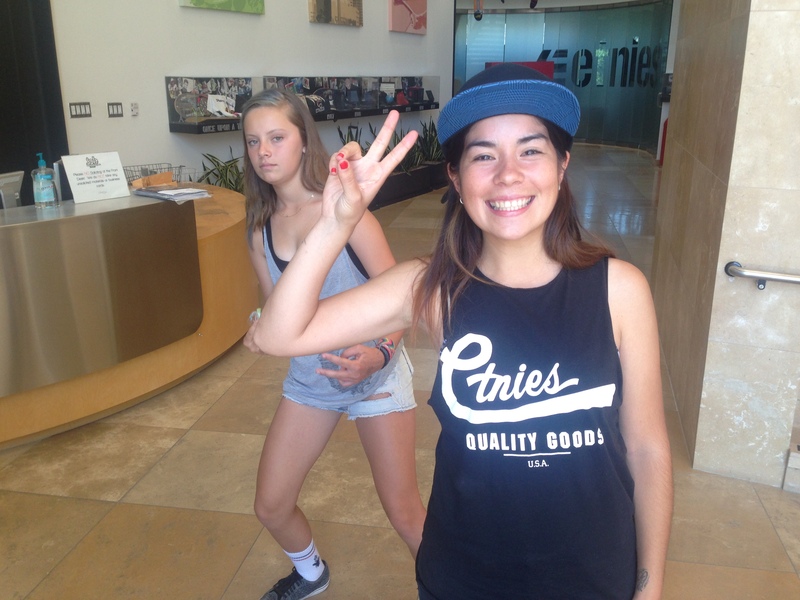 She introduced Maria Jose – a visiting skateboard pro from Chile and myself to thee Don Brown. Yes, he’s a SVP at Sole Tech – and he makes time to give girls tours – people do believe girls can skateboard! Maria and I goofing in the lobby at Sole Tech. Yes there’s a clue for who/what Sole Tech is – etnies. etnies is just one of the Sole Tech brands. The others are Emerica, eS Footwear, Thirty Two, Altamont, and STI Lab. The tour began with a time line – the glass box behind us marks the start. Way back when in 1986 etnies was established as the first skateboarder-owned and operated global action sports footwear and apparel company. Today it’s still lead by skateboarder/owner Pierre-Andre Senizergues. There is love in the walls for skateboarding and surfing, snowboarding, Moto-X, and BMX. 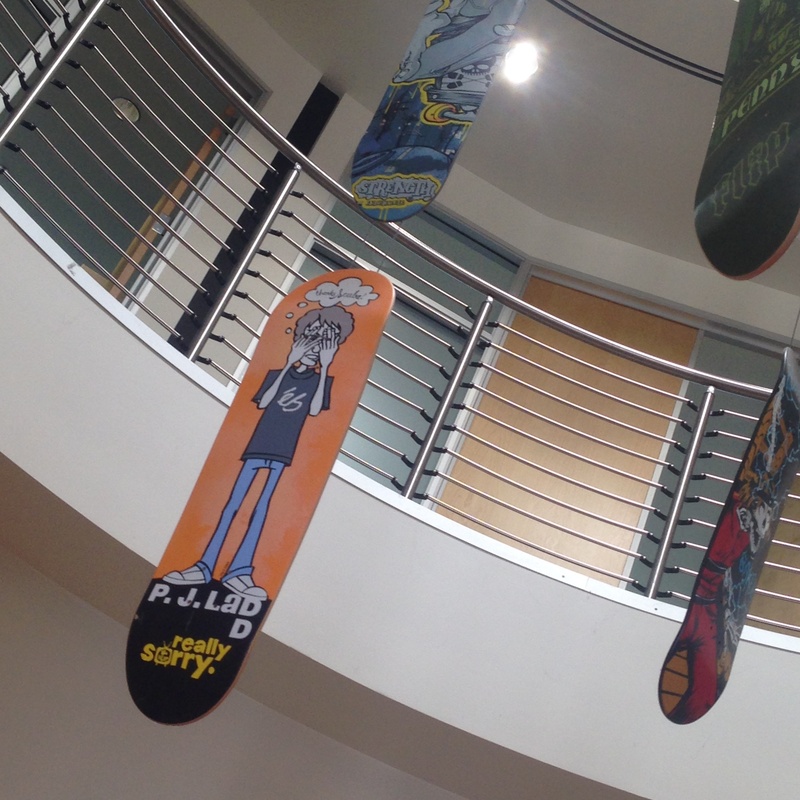 There are also skateboards in the air. Literally raining down from the upper floor. Zoom in on the case. All the rad events are marked. 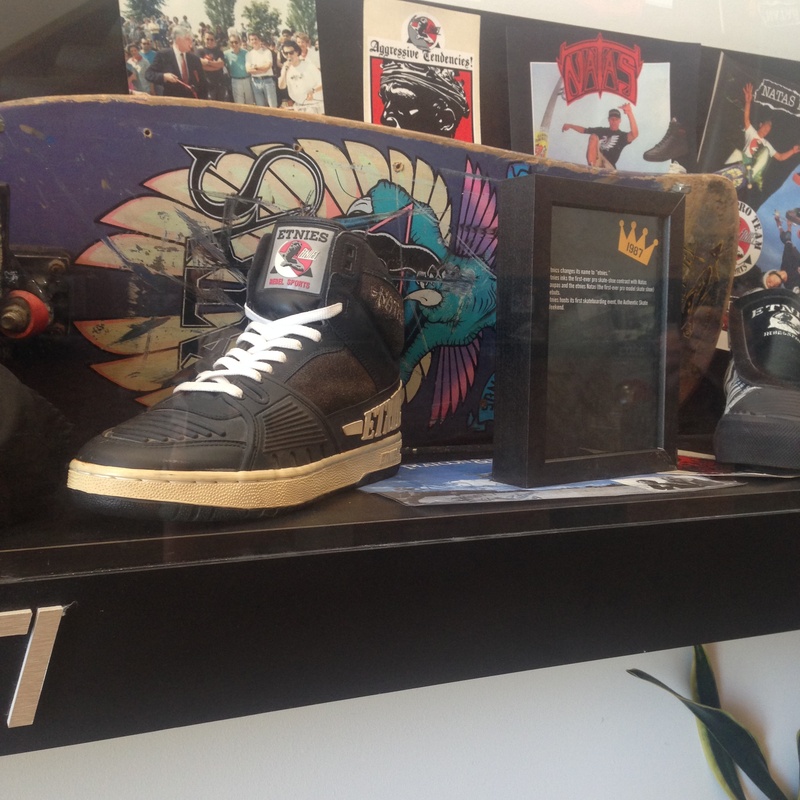 Like DYN (did you know) etnies introduced the first pro model skate shoe in 1987. And that there’s technology in the shoe design – it’s not just fashion it’s function in these shoes! Couple quick highlights: 1993 street culture, 1997 hiking look crossover, 1999 a sandal, 2001 Elissa Steamer pro shoe, 2002 rise of the boutique, 2003 art and music travel with the shoe to create art on the shoe. What I loved the most was the stories behind the new products. The sandal really did start out as a shoe someone in the office played with. I appreciate seeing the shoes appearance change over time. Fashion, art, and skateboarding are always evolving – the only constant is fun! 2004 marked the beginning of GVR (Goofy vs. Regular) contest. etnies has consistently introduced new shoes and new ways to celebrate skateboarding. And never say never – who knows when/if GVR could return. I appreciated that etnies listens to employees. It wasn’t a coincidence etnies became involved with Moto X or snowboarding it came about because the employees were interested. Passion in design is so important – passion is where real style comes from. 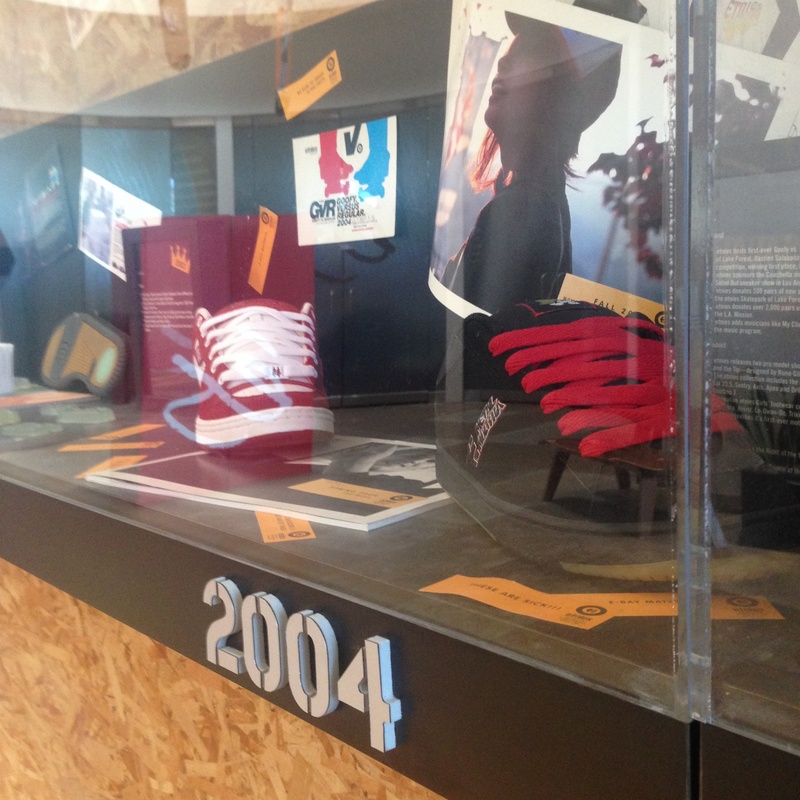 Here’s an interesting fact – in 2005 women represented 50% of etnies business. What happened girls? No worries I’m here so let’s check out what etnies has for girls. 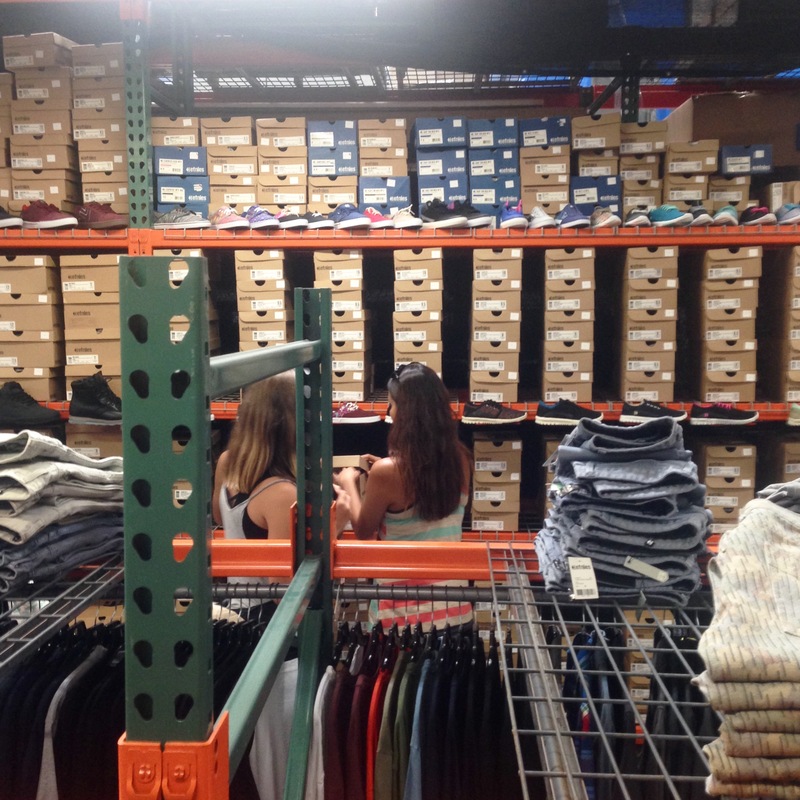 Each Sole Tech brand has a showroom – here we are in the etnies showroom. If there was any question – girls can always wear boys shoes. Girls can where anything they want. That said all the shoes at etnies can be worn by girls. Before going on this tour, I couldn’t remember a time I skateboarded in girls shoes. I didn’t stop skateboarding in girls shoes because I didn’t like the styles. I was just disappointed they fell apart so easily. Skateboarding is fun – it is good for the mind, body, and soul but it is hard on the shoe. There in the showroom my faith in the girl skateboard shoe was reborn. When I picked up the shoe, I found out about etnies Buy a Shoe Plant a Tree. 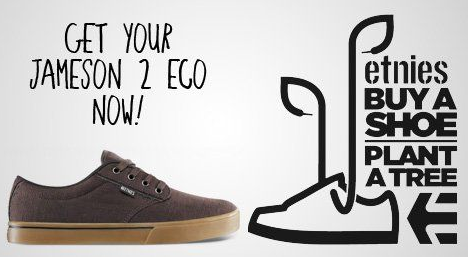 The etnies Buy a Shoe, Plant a Tree project began in 2011 when etnies Owner and CEO, Pierre-Andre Senizergues decided to invest in the future by planting a tree in the Costa Rican rainforest for every pair of Jameson 2 Eco shoes sold. In 2012 the program expanded to Brazil. To date over a million trees have been planted and as of 2015 any etnies shoe you buy gets a tree planted. With that information I had to buy a pair of shoes – I was doing it for the environment! Before I could get to the company store – I had to pass through the other showrooms. 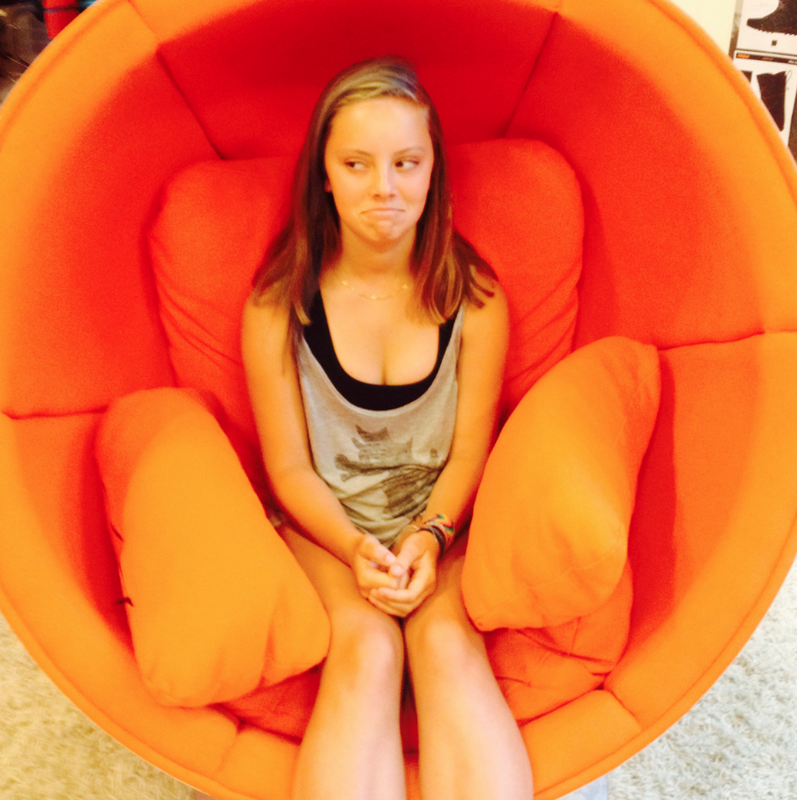 One has carpet on the walls, one is mostly black, and one has pod orange chairs where they ask you questions – beware. Here I am in the offices focused on shoes and trees – helping the environment. My new shoe on foot – of course I left wearing them. My good deed for the day done – someone else would be planting the tree – I was ready for lunch and the skate park. Pictured above are my new shoe at the etnies skate park. Fashion, form, and function have been achieved. I love my new shoes. As for the Sole Tech tour – I highly recommend it. It really is hotter in Lake Forest, the shoes are magical, and the Sole Tech Company Store is open to the public. Can’t make it to Lake Forest – the shoes are available everywhere including online. Do something nice for your feet and the environment, plus support a company that is still skateboard owned and operated. Always keep skateboarding fun and support your fellow skateboarders on & off the board!